Kitchen Clonc: Cooking doesn't get tougher than this! Cooking doesn't get tougher than this! These words are synonymous with one show and one show only and this Wednesday MasterChef returns for it's 13th series on BBC One. I have been a fan of the show for as long as I can remember, but never ever did I think that one day I would be a contestant! It still sounds crazy me even saying it! I'm madly in love with all aspects of food, cooking it, eating it, writing about it and when I'm not doing those things I'm thinking about it. Food has been such a big part of my up bringing. My mum is a great cook and food has always played a central part to family life, whether it was a week day dinner around the table or a big extended family gathering. However it's not until university I actually had to fend for myself. With no real interest in cooking my house mates at the time bemused by my diet of ready meals and oven chips taught me how to break an egg (literally!) and cook a simple stir fry. Fast forward to me finishing university hooked on watching cooking shows like Saturday Kitchen, back to back Come Dine With Me episodes and MasterChef of course. This was really the start of my food and cooking journey watching, eating, learning and then eventually blogging. I now cook all the time and more importantly eat all the time! 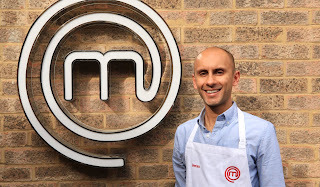 As I mentioned I'm a huge fan of MasterChef it's the one series my friends and I always get really into and excited about especially when the adverts start for a new series. I love the drama, tension, gaffs and laughs. It's the best because sitting at home you get to be the judge, shouting at the screen, cringing at the mistakes and in awe at the amazing food those that make it to the latter part of the competition make. The challenges, the chefs and the sheer joy/tiredness/relief when the eventual winner picks up that coveted trophy. I love it!! After years of thinking about applying to be a contestant on the show I thought this is the year for me and if I don't at least try it's likely I never will! So here I am able to proudly say I made it on the show. 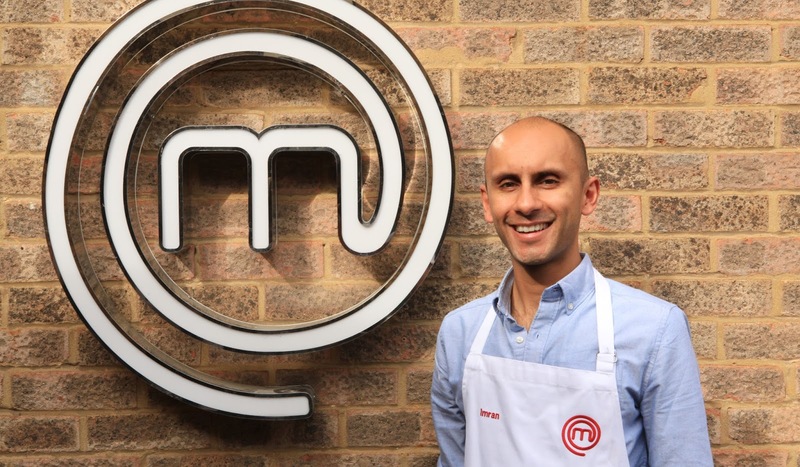 The series starts tonight at 8pm on BBC One with the very first heat and is back the following night for the next heat and that's when I am on! Please watch! Don't forget BBC One 8pm this Wednesday and Thursday! New blog post to follow after my heat on Thursday.